"Bruce C. Murray dies at 81; former director of JPL"
Bruce C. Murray's push to study the images of planetary surfaces played a major role in keeping NASA's exploration program alive. Although most of his fellow space scientists scoffed at the idea, Jet Propulsion Laboratory scientist Bruce C. Murray insisted that a picture of a planet's surface was worth a thousand words — or at least as much as the measurements of magnetic fields and particle concentrations that his colleagues favored in the early days of planetary exploration in the 1960s. "Pictures," said Louis Friedman, a founder and former executive director of the Planetary Society, "were considered a stunt." But Murray, a former petroleum geologist who joined JPL in 1960 and became its director in 1976, played a key role in changing that view. Spectacular pictures of the surfaces of Mars and other planets are almost routine now, a development due in large part to Murray's forceful advocacy that studying images of the surfaces of other planets could help us learn about our own. 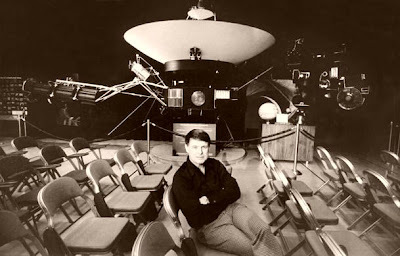 He played a key role in the 1964 launch of Mariner 4 to Mars, the first mission to send back pictures from any planet. That "was the beginning of comparative planetology," Friedman said. The procurement of pictures not only began to play a key role in all planetary exploration but helped keep the space exploration program alive when successive presidential administrations attempted to shut it down, he said. Murray, 81, fought vigorously to maintain the program during his six years as director of JPL from 1976 to 1982, and with Friedman and Carl Sagan founded the Planetary Society, a leading organization promoting the exploration of the solar system. He died early Thursday at his home in Oceanside from complications of Alzheimer's disease, his longtime friend Charlene Anderson said. "He worked tirelessly to save our nation's planetary exploration capability at a tumultuous time when there was serious consideration for curtailing future missions," JPL Director Charles Elachi said in a statement Thursday, adding that "we today enjoy the privilege of exploring the heavens in no small measure because of Bruce's leadership." Murray joined Caltech as a planetary astronomer, but he was soon invited to join the imaging team of JPL's first two missions to Mars, Mariners 3 and 4. His role was less about developing the imaging equipment than in deciding the best way to use it. He had a similar function on Mariners 6, 7 and 9 and led the imaging team for Mariner 10. Using images from these missions, he began to construct a geological history of the planet. "He was centrally involved in the earliest explorations of Mars and Mercury, and he made seminal contributions to our understanding of the role of water on Mars and other bodies," Caltech planetary science professor David Stevenson said. In the early 1970s, NASA was planning two Viking missions to Mars to search for life on the Red Planet. Murray, however, argued that the missions were premature and should be postponed until scientists had a better understanding of the chemistry on the planet's surface. NASA discounted his objections and proceeded with the missions. His views were upheld, however, when one of the Viking experiments showed the apparent presence of metabolic products of life. Further study suggested instead that the finding was an artifact produced by nonbiological processes in the highly oxidizing Martian soil. Combined with his successes on the Mariner missions, his insightful criticism of the Viking program led to his being named JPL director in April 1976 when the fourth director, William H. Pickering, retired from the La Cañada Flintridge center. It proved an extremely difficult time to lead a planetary exploration program. The Apollo era was winding down, and NASA was focusing on the shuttle program and Earth observations. Successive presidential administrations and Congresses severely curtailed deep space exploration. Nobody in Washington, D.C., thought that planetary exploration should not be carried out, Friedman said. "They simply thought that it wasn't very important, that it was something that could always wait." Murray's outspokenness did not win him many friends in Washington as he fought to maintain planetary programs. He was successful in keeping the Galileo mission to Jupiter alive, but he could not win approval for the American half of the two-satellite International Solar Polar Mission. JPL's instrument for that mission was, however, later launched on the European Space Agency's Ulysses mission in 1990. 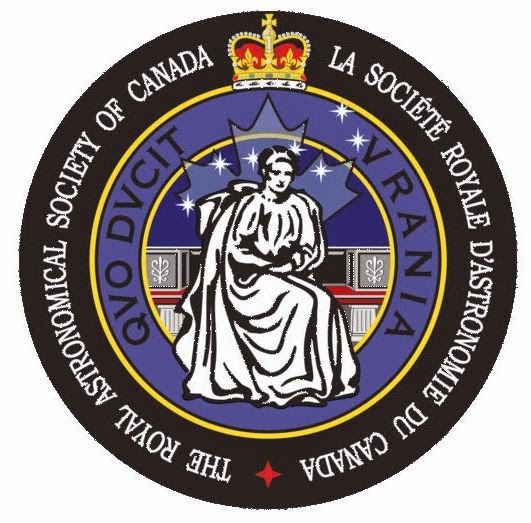 To assist in promoting planetary exploration, Murray, Sagan and Friedman founded the Planetary Society, a nonprofit organization whose mission was to support and lobby for deep space exploration. Sagan was the first president, but Murray assumed the presidency when Sagan died in 1996. At a time when few women worked at JPL or elsewhere at NASA, Murray also played a vital role in recruiting women employees and integrating them into the space program. He created an advisory council of 12 women who helped recruit female engineers and make JPL a more attractive workplace for them. Without more women, "Bruce recognized … we would only be exploiting 50% of the capability of the country," said former JPL chief engineer John Casani. Today, he added, "there are more women at JPL than at any place within NASA and in many industries." The retrenchment in NASA funding for planetary exploration led to severe budget cuts for JPL. Murray was able to offset some of these cuts and keep the laboratory operating first by acquiring a large solar energy research project from the Department of Energy and, later, by convincing the trustees of Caltech, which administers JPL, to allow the lab to resume classified research for the Department of Defense. He stepped down as JPL director in late 1982, noting that he had never intended to retain the position for more than five to 10 years. He returned to Caltech's geological and planetary sciences department, where he was a professor emeritus at the time of his death. Murray had cultivated a variety of international connections during his tenure as director. As a result of those, he spent several months in Japan working with the Japanese space agency and several months in China. Bruce Churchill Murray was born Nov. 30, 1931, in New York City. He was educated at the Massachusetts Institute of Technology, where he received his doctorate in geology in 1955. Upon graduation, he worked as an exploration and exploitation geologist in Louisiana for Standard Oil Co. In 1958, he began a two-year stint with the Air Force Cambridge Research Laboratories before joining Caltech, where he was the first professor in planetary science. He was author or co-author of six books and more than 130 scientific papers. He received NASA's exceptional scientific achievement medal in 1971 and its distinguished public service medal in 1974. His first marriage, to Joan O'Brien, ended in divorce in 1970. He is survived by his wife of 41 years, the former Suzanne Moss, five children and 10 grandchildren. "Bruce C. Murray, Who Helped Earth Learn of Mars, Dies at 81"
Bruce C. Murray, a planetary geologist who won his spurs interpreting findings of early missions to Mars and who led NASA’s Jet Propulsion Laboratory through a time of flagging support for new flights in the late 1970s, died Thursday at his home in Oceanside, Calif. He was 81. The cause was Alzheimer’s disease, said the Jet Propulsion Laboratory, which is operated for NASA by the California Institute of Technology in Pasadena. Dr. Murray was a professor emeritus at Caltech. As director of the laboratory from 1976 to 1982, Dr. Murray faced shrinking budgets as the space agency shifted most of its resources to the emerging shuttle program. There were two Viking landings on Mars in his first year, and two Voyagers were launched to the outer planets. But prospects for any future missions were bleak. On the brink of despair in 1981, Dr. Murray struck a defiant note in an interview with Discover magazine. Through persistence, he kept the doors open. He managed to salvage a Jupiter orbital mission, later named Galileo, an imaging radar system for Earth mapping to be flown on space shuttles, an early Earth-observing satellite called Seasat and a joint project with Britain and the Netherlands called the Infrared Astronomy Satellite. Out of concern for the future of planetary exploration, Dr. Murray joined with the astronomer Carl Sagan and the aerospace engineer Louis Friedman to found the Planetary Society, a public advocacy organization dedicated to exploring the solar system and searching for extraterrestrial intelligence. The society, based in Pasadena, has reported some 100,000 members. Dr. Murray was its retired chairman. Bruce Churchill Murray was born Nov. 30, 1931, in New York City. His family later moved to California, and he graduated from Santa Monica High School. He was educated at the Massachusetts Institute of Technology, where he earned a Ph.D. in geology in 1955. After working as a geologist for Standard Oil, he spent two years in the Air Force as a geophysicist and then became a researcher at Caltech in 1960, at a time of growing excitement over space exploration. He joined the faculty as an associate professor of planetary science in 1963, and became a member of the science team for Mariner 4, the first successful flyby of Mars, in 1965. Those first pictures of a moonlike Mars of cratered plains were a disappointment to those who grew up imagining Martians. But further flyby exploration by Mariners 6 and 7, and especially Mariner 9’s orbital survey in 1971-72 — all with Dr. Murray on the science team — began to reveal a more diverse Mars of mountains and canyons, with some evidence of water erosion in the distant past. He constructed a geologic history of Mars from these images. From his Mars experience and as chief scientist for the Mariner 10 mission to Venus and Mercury, as well as his budget battles as the J.P.L. 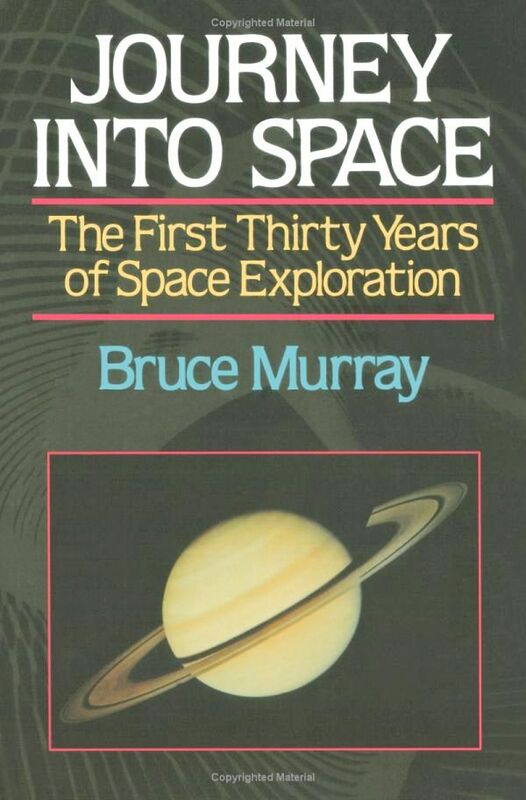 director, Dr. Murray wrote a popular book, “Journey Into Space: The First Thirty Years of Space Exploration,” in 1989. He also collaborated with Arthur C. Clarke, Ray Bradbury and Walter Sullivan on another book, “Mars and the Mind of Man,” based on a symposium conducted at the time that Mariner 9 swept into an orbit of Mars. He published more than 130 research papers and four other books as well, and was the associate director of an award-winning educational film, “Mars Minus Myth,” first released in 1973 and revised in 1977. His survivors include three children, Christine, Stephen and Peter, from his first marriage, to the former Joan O’Brien. They were divorced in 1970. The next year he married Suzanne Moss, who survives, as well as her daughter, Allison, whom Dr. Murray adopted; their son, Jonathan; and 11 grandchildren. In a television interview in 1989, Dr. Murray spoke of the lingering disappointment of his experience as the Jet Propulsion Laboratory’s director. So he returned to the Caltech faculty and served on the science teams for other Mars missions in the 1990s. On his retirement in 2001, he was made professor emeritus of planetary science and geology. "Bruce C. Murray, NASA space scientist, dies at 81"
Bruce C. Murray, a former director of the Jet Propulsion Laboratory, who was an ambitious proponent of space exploration and among the first to emphasize the use of photography of other planets, died Aug. 29 at his home in Oceanside, Calif. He was 81. He had Alzheimer’s disease, the Planetary Society, an organization he helped found, announced in a statement. 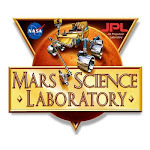 Dr. Murray was director of the Jet Propulsion Laboratory, a space exploration arm of NASA, from 1976 to 1982. He began working for the space laboratory in 1960 while serving as a geology professor at the California Institute of Technology, which manages the JPL, based in Pasadena, Calif.
As a part of the scientific team that launched the Mariner series of missions to Mars and other planets in the 1960s and 1970s, Dr. Murray was one of the first scientists to highlight the use of photography in space science. Mariner 4 transmitted pictures of the terrain of Mars back to Earth in 1965, the first time images of the surface of another planet had been seen. Dr. Murray used the images obtained from the Mariner missions to develop a geological history of Mars. In the early 1970s, he was the top scientist of the Mariner 10 mission, which photographed Venus and Mercury. Expectations were high when Dr. Murray took over the Jet Propulsion Laboratory in 1976. That year, two Viking missions reached Mars, dispatching automated roving vehicles to the surface, where they collected samples of soil and rocks in an effort to determine if life existed on the Red Planet. Dr. Murray had misgivings about the Viking projects, suggesting that they were launched before scientists had a reliable understanding of the Martian atmosphere and surface. Later in the 1970s, two Voyager spacecraft probed the deeper recesses of the solar system, but, to Dr. Murray’s disappointment, the era of interplanetary space exploration was already at its zenith. He said there were two kinds of missions — purple pigeons and gray mice — that the JPL could pursue. He favored “purple pigeons,” or projects that captured the public imagination and made a big splash in the scientific world, such as a rendezvous with a comet. “Gray mice” missions, by comparison, were less dramatic. But Dr. Murray’s bright-hued hopes for space exploration were thwarted by continued budgetary battles with Congress and changing priorities. The space shuttle program claimed a higher profile at NASA, as public support for the unmanned exploration of outer space began to wane. In the early 1980s, the funding emphasis at the space laboratory began to shift from pure science to something that began to resemble an adjunct of military preparedness. Dr. Murray said he was not necessarily opposed to the change — “Quite the opposite; I was the architect of the shift,” he said in 1982 — but he noted that other scientists were not as comfortable working on programs with military applications. When Dr. Murray resigned from the JPL in 1982, he was replaced by Lew Allen Jr., a retired Air Force general who had been the director of the National Security Agency. Bruce Churchill Murray was born Nov. 30, 1931, in New York and graduated from high school in Santa Monica, Calif. He received three degrees from the Massachusetts Institute of Technology, including a PhD in geology in 1955. 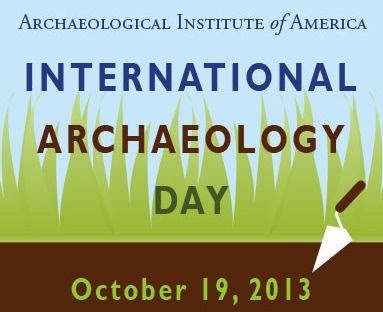 He was a petroleum geologist in Louisiana before serving as a scientist with the Air Force in the late 1950s. 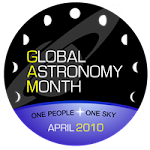 In 1979, when he was still at the JPL, Dr. Murray and renowned scientist Carl Sagan founded the Planetary Society, which seeks to raise awareness of space science. Dr. Murray was president of the organization for five years after Sagan’s death in 1996. Dr. Murray was the author of several books, including “Journey Into Space: The First Thirty Years of Space Exploration” (1989). He received an exceptional scientific achievement medal from NASA in 1971 and a distinguished public service medal in 1974. An asteroid is named in his honor. After leaving the JPL, he returned to Caltech, where he taught until 2002. He also worked on joint U.S. space ventures with the Soviet Union, Japan and China. His marriage to Joan O’Brien ended in divorce. Survivors include his wife of 41 years, the former Suzanne Moss; three children from his first marriage; two children from his second marriage; and 11 grandchildren. In 2001, Dr. Murray discussed the importance of exploring Mars and other planets in an interview with United Press International.